When executives at the chain restaurant Panera Bread started having secret talks with Apple in June, they immediately knew Apple Pay was a safe bet. It takes a huge target off the company's back. Apple Pay's security features mean that Panera Bread (PNRA) doesn't collect credit card data from shoppers, so it has less to lose if it ever gets hacked. "This makes complete sense," said Blaine Hurst, a top technology executive at Panera. "It clearly reduces liability. 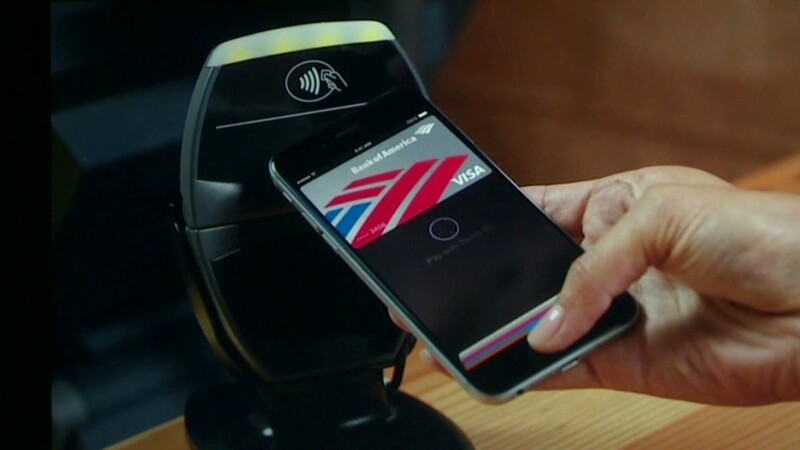 It takes any transaction done with Apple Pay out of my major list of concerns." Instead of handing shops your credit card, Apple Pay generates a one-time-use, unique code. It's not worth stealing. "That's nirvana for merchants," said Jason Oxman, who heads the Electronic Transaction Association trade group. This is important in the Age of Hacks. When thieves break into a major retailer's computers and steal credit cards, fraud charges initially hit banks but eventually slide down to the shop that got hacked. Target (TGT) already faces $148 million in costs related to its data breach last year. Home Depot (HD) is expected to pay out even more. Sports Authority's chief information officer, Kathy Persian, said this presents an opportunity to avoid a similar incident at her company. It's one of the reasons Sports Authority had already deployed tap-to-pay technology for Google Wallet at its 470 U.S. stores. "It gets us out of the business of having any credit card information at all. It's a major win," she said. The only downside for retailers: They lose the ability to track shoppers the traditional way. Ever give up your zip code at checkout? Stores routinely pair that with your credit card number to figure out exactly who you are and where you live. "The data is valuable. That was their only point of collection, their only anchor," said Cherian Abraham, a mobile payment expert with Experian. That's one reason retailers like Wal-Mart (WMT) and Target (TGT) have rejected Apple Pay and Google Wallet, experts say. Credit card fees are another. 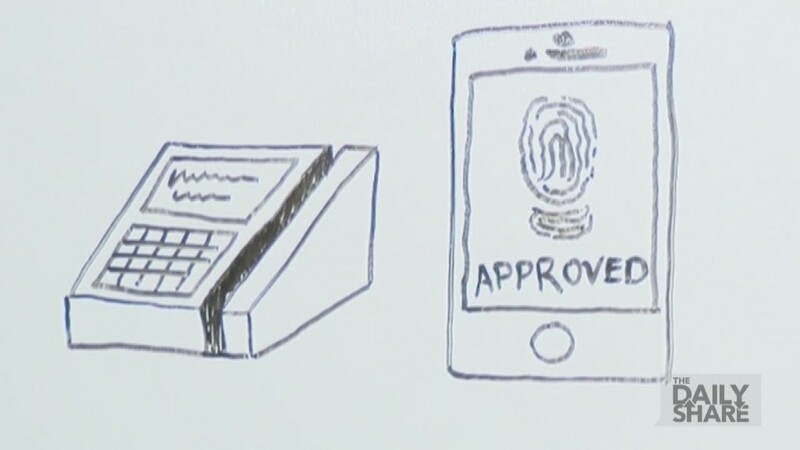 But adopting Apple Pay is actually a strategic move for better customer tracking in the long run, Abraham said. If shoppers are more attached to their phones, then it's easier to communicate with them in stores via Bluetooth and Wi-Fi signals. That means more personalized coupons, rewards and aisle-by-aisle tracking. Indeed, several retailers who partnered with Apple (AAPL) told CNNMoney this technology fits perfectly with their high-tech plans. What they lose in credit card data they can make up with loyalty programs. Persian, for example, said Sports Authority "won't lose insight" as long as customers keep using "The League" rewards program. "It goes beyond payments," she said. "We think about integrating our loyalty program," which exists on an app that lives in another part of the iPhone. Merging the two isn't currently possible -- if ever. So for now, customers can pay instantly with a tap of their phone, then switch to a different app to scan themselves into the system. And some companies hope customers will pay with their phone -- but then reach for their plastic loyalty card. That's the case at Panera, where half of its transactions come from the 18 million members who identify themselves at checkout, Hurst said.